Is your laptop getting old? Have you started noticing it’s heating up more often? 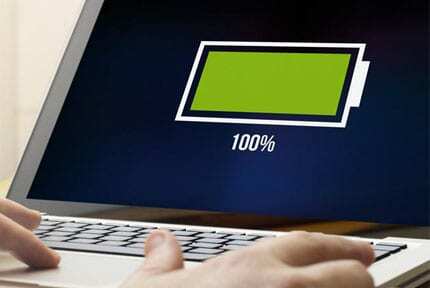 Generally, laptops are designed for easy maintenance, but you’re not stuck taking it to a repair shop – you could simply spend a few dollars on a laptop cooling pad instead. But how do you choose the right one? Well, we’ve researched the market and found some of the best cooling pads around. We then separated them by price, which you can see in our table below. Don’t go making a decision just yet, however – we have full reviews of each product below. Before we get started, there are a few things you should know about laptop cooling pads. We’ve covered these below, in the hopes of saving you both time and money in the long term. 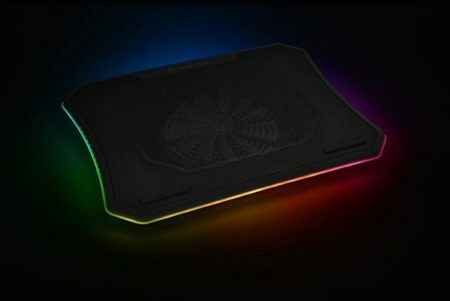 Do You Need a Cooling Pad? 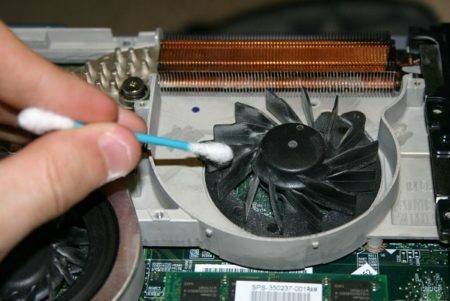 Most of the time, when a laptop overheats, it’s due to a build-up of dust. If you’re comfortable cleaning out the fan, you might find this resolves your problem. However, if there’s no easily accessible way to reach the fan, a cooling pad may be your only option short of a professional cleaning. There are pads with six fans and pads with one. What’s the difference? Well, they lie at opposite ends of the noise/cooling spectrum. Simply, more fans cause more noise but provide more cooling. Conversely, a pad with a single fan will often be silent, but won’t be as effective. Consider your workspace before committing to a particular cooler. If it’s a loud environment, additional fans won’t be an issue. However, if quiet is important to you, you might be better off with fewer fans. 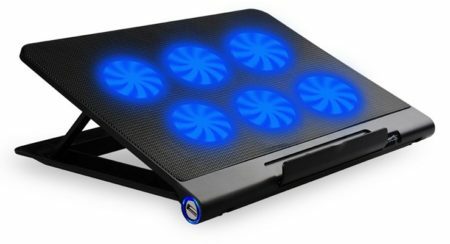 We know most people won’t want to spend a lot of money on a laptop cooling pad – after all, it’s something you need, rather than something you want. With that in mind, we’ve carefully selected five of the best, most affordable cooling pads for your consideration. Let’s begin with the TopMate Laptop Cooler. 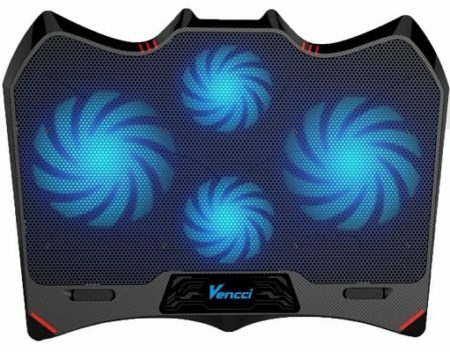 This pad costs around 12 USD and comes with two 140mm fans. It’s suitable for laptops between 11 and 16” in size, and offers two height settings to choose from. As an added bonus, it includes two USB ports for you to plug your devices into. Is it loud, though? The fans on this model are almost silent and yet offer more than adequate cooling. Unfortunately, there are no color options, and the LEDs cannot be turned off. 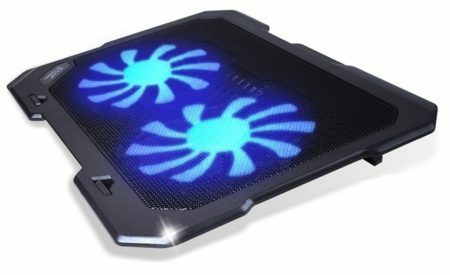 However, for an inexpensive laptop cooler, this one certainly exceeded our expectations. For a larger laptop, you might want to consider this cooler from Vencci. 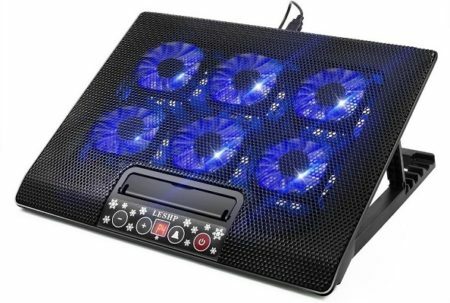 It comes with either red or blue LEDs on each of its four fans and has a retail price of around 17 USD. 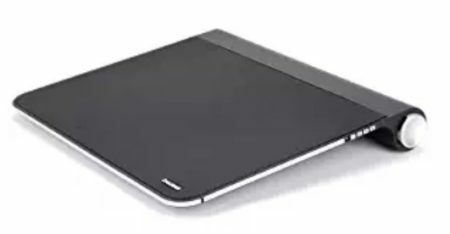 This pad can be used at an angle if needed, or flat. 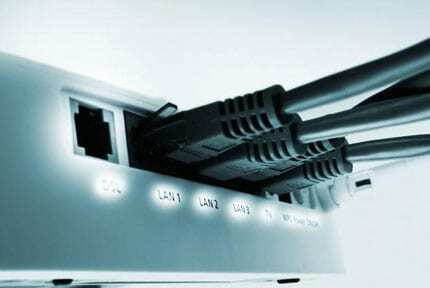 Either way, the mesh design provides excellent heat dissipation. The whole unit weighs just over one pound, so it’s not a burden to carry around. Also, it’s quiet enough to use almost anywhere. In truth, we’d have expected a cooler like this to have a higher price point, so snap it up while you can. The Cooler Master NotePal X-Slim is a far more discreet cooler. 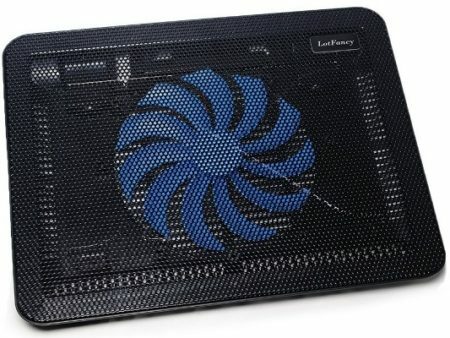 It costs around 18 USD and covers its single 160mm fan with a metal mesh. There are two height settings, two USB ports, and even cable grooves on the underside to help keep things neat and tidy as you work. So how’s its design? This really is an unobtrusive product. Its fan is silent, it’s discreet, and it is only 46mm high (at most). It even comes with a year’s warranty coverage. In short, if your laptop is overheating, but you want to maintain a professional appearance, this might be the model for you. SIKER is under the impression that more is better, which is why it’s included six fans in this cooler. They’re smaller, of course, but this just keeps the noise as low as possible. With a mesh front, great airflow, and extra USB ports, there’s nothing to stop you getting on with the job. At less than 16 USD, this is a great, affordable option for those who want a professional cooler to complement their larger laptop. With five height adjustment levels, you can perfectly tailor it to your needs. We’d have preferred a LED-free variant, but that aside, there’s very little to complain about here. Last but not least, let’s examine the LotFancy cooler. This item is designed for smaller laptops (around 13-15”), and accordingly, has a lower price (12 USD or so). It has one 160mm fan mounted directly in the center, but it stays quiet because it spins at a relatively low 800RPM. That’s not to say this model’s weak! It’ll keep your laptop nice and cool, and if it doesn’t, you can take advantage of its money-back guarantee. There’s also a one-year warranty included, just in case something breaks. Frankly, that’s not a bad deal at all. It turns out increasing your budget, even marginally, can have a huge impact on the available products. The following pads are a little more expensive, but they tend to come with features not seen in the budget models. Sensors, screens, and exotic materials – you name it, we’ve got it below. We’ll open this category up by looking at the cooler from AVANTEK. 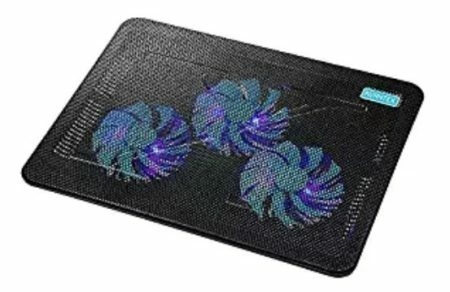 This is a low-cost (around 19 USD), dual-fan cooling pad with a striking black and blue aesthetic, complete with mesh fronting. The fans go as high as 1000RPM, so you can rest assured it’s capable of cooling even the hottest laptops. We love how little noise this product makes. It averages out at around 26dB – it’s literally as quiet as a whisper. With laptops up to 17” supported, this is a strong choice for most people, particularly if silence is important to you. Sick of the ubiquitous black and blue color scheme? This cooler from NNEWVANTE is made entirely from bamboo, which lends it an air of sophistication plastic models just can’t match. That’s great, but of course, we’re more interested in how it performs. Is it worth your time? Well, despite only having a single fan, this model is capable of keeping things cool thanks to bamboos natural heat dissipation. There are five heights to choose from, and any laptop up to 15.6” will fit nicely. If you want something functional that still looks great, this is the product for you. If you want sheer cooling power, the Kingpeony laptop pad is the one for you. It has six 170mm fans, a mesh top, and buttons on the front that allow you to push the fan speed up to 1200RPM. Even at max speed, the fans never get too loud, which is great, but how does it look? A little flashy, to be honest. To be fair, looks aren’t everything and it’ll be covered by your laptop most of the time, so this is a relatively small issue. If we’re judging on pure performance, this model is up there with the best of them. 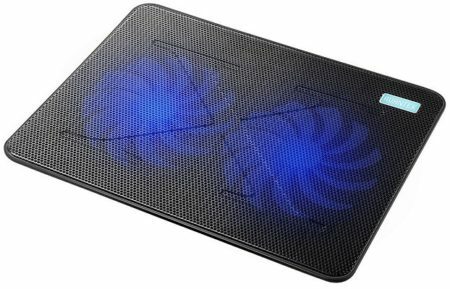 The TopMate 1500RPM cooling pad is a futuristic looking product that comes with six 65mm fans and a price of less than 20 USD. More interestingly, there’s a temperature sensor built in that tells you exactly how hot your laptop is. So, which laptops are this model suitable for? As long as it’s between 10 and 16” in size, any laptop will fit. It’s even suitable for tablets since there are six different height settings available, some of which are at pretty steep angles. This product provides a strong balance between versatility and raw cooling power. You want the best of the best, right? Something to keep your laptop cool, of course, but something functional too. We hear you. The cooling pads below might cost a little more but they justify their prices with higher build quality, added features, and of course, exceptional cooling. This next cooler from Thermaltake allows you to stay cool while looking stylish. It has a customizable RGB light and variable speed 200mm fan that is nearly silent when it runs. Plus, if you have a larger laptop, you’re in luck – this model supports anything up to 19”. This cooler boasts an ergonomic design, exceptional airflow, and three height settings. Sure, it weighs three pounds, but it offers 256 different colors and several lighting modes to choose from. To be honest, it’s a little pricey (around 50 USD) but it’s the kind of product you either love or hate. 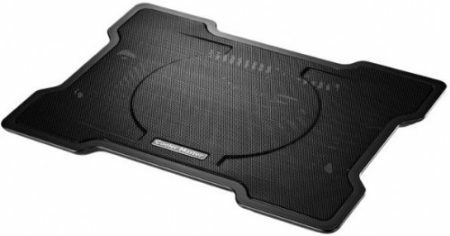 Our second premium pick is the Targus lap chill mat. This cooler comes with two fans and a neoprene covering that makes it more comfortable than the hard plastic coolers seen above. It’s a lot less flashy, too, making it perfect for professional use. So what else did we like? Well, a year’s warranty is always nice. There are four non-slip feet, plus the open design helps keep things cool, even with the fans turned off. This cooler costs around 30 USD, which isn’t bad considering its high-quality construction. It’s a little plain looking, sure, but it gets the job done. Looking for a premium, three-fan cooler? Look no farther than the AVANTEK cooler. This model costs a little under 40 USD but comes covered by a sleek, black mesh. The fans run at 1200RPM and provide ample cooling while being whisper quiet. Not bad, but it gets better. Any laptop up to 17” in size will work, and there are two height settings on offer. There are two extra USB ports on the side, and the entire unit weighs just over one pound. This cooler is a strong choice for people who want the best of both worlds – powerful cooling and strong aesthetics. Our final premium pick is something special. The Zalman cooler comes with speakers built in so you don’t have to rely on those tinny, low-quality laptop speakers anymore. Better yet, it has a modern design, four USB ports, and it can be all yours for around 40 USD. 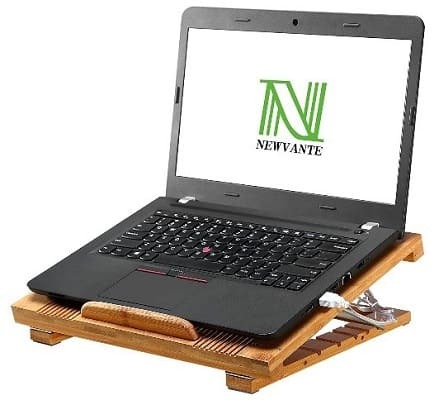 This product is compatible with any laptop up to 17” in size. 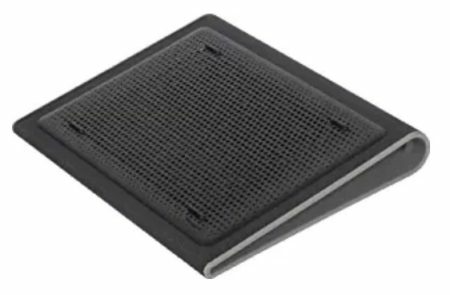 Unlike most other cooling pads, it’s very slim. It’s not even that heavy, at just three pounds. Simply, this is a cooler for people that want it all. It’s versatile, functional, and it looks great too. What more could you want? We’ve saved one of the best until last. 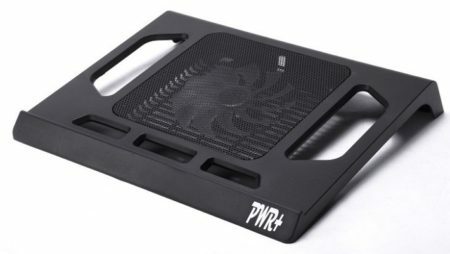 Enter the Pwr+ laptop cooler, a nice, affordable, single-fan cooling tray that supports any laptop up to 16”. It has everything: carry handles, good airflow, an adjustable height, a money back guarantee, even a two-year warranty! But is it right for you? If you value versatility above all else, there are very few products that rival this one. It’s quiet, provides exceptional cooling, and has been tested to ensure it works with all the most popular laptop brands. 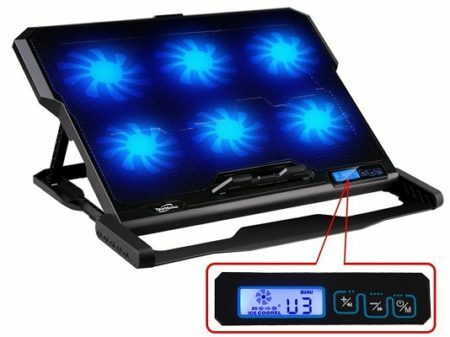 With an extra two USB ports, a choice of five colors, and a price tag of less than 15 USD, this is clearly an exceptional laptop cooler. Now that you have an options what to buy, take time to read our guide the best capture card. This guide will help save you time and preserve your sanity, we’ve found ten exceptional capture cards for you. Read it right here!